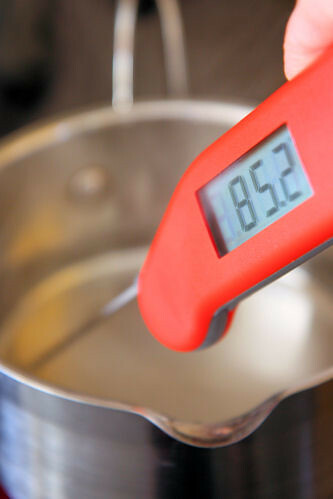 How many times have you thought that you could do with a really accurate, fast, digital thermometer for the kitchen? I have been looking around for a decent one for quite a while now and was pleased to come across this one which is rather brilliant. 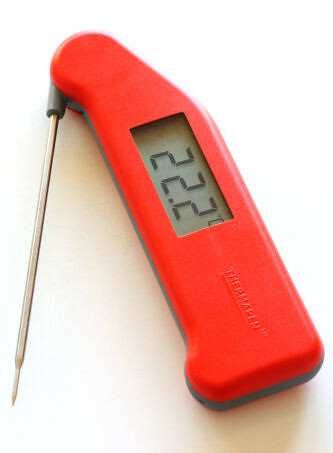 The beautiful British-made Thermapen is now available to home cooks and BBQ enthusiasts and comes in 13 glorious colours. With a lovely sleek design (a joy to hold), it has a big digital display which gives an accurate temperature reading in just 4 seconds, -49.9 to 299.9ºC. The case is water resistant and has a 'Biomaster' additive that reduces bacterial growth, the rubber seal minimises liquid, food and dust getting inside. The Thermapen switches off automatically after 10 minutes, maximising battery life - although this feature can easily be disabled. It even comes with its own certificate of calibration! 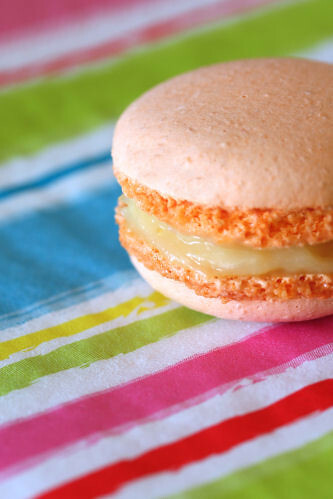 I found it perfect for the sugar syrup needed to make macarons where the exact temperature needs to be between 118-121 degrees Celsius. All the guesswork can be eliminated if you are tempering chocolate or making jam. I think it will be really useful for fudge making and candies, roasting meats, fish and barbecuing, checking the temperature of wine and great for bread making. My husband has been caught stroking it lovingly and wistfully checking for BBQ weather. 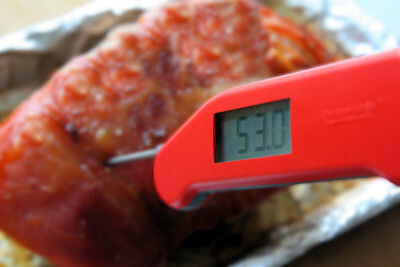 The SuperFast Thermapen costs £57.60 and is available from www.thermapen.co.uk and also from Amazon for only £48. Never worry about the internal temperature of your meat again, it's perfect for all your roasts and barbeques - the probe is thin with a sharp end - no large holes in your meat! The perfect mac? I think so! 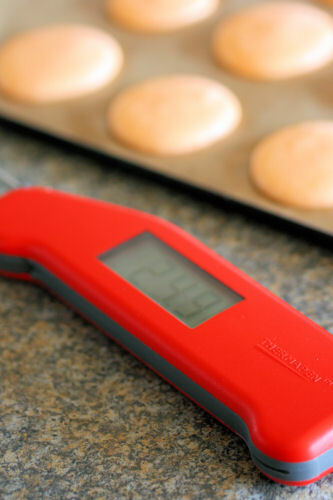 Thank you to Thermapen and Jo Gilham at Wild Bee PR for sending me the Thermapen to review. The Thermapen looks great as well, might give one a try. All the best with your blogging! Everyone should have one! (I don't have the Thermapen) but I do have a digital thermometer.